This gift includes $50 worth of coupons and samples. Some bags include a Munchkin bottle, a MAM Newborn pacifier, Honest Wipes and Diapers sample pack plus more depending on location. 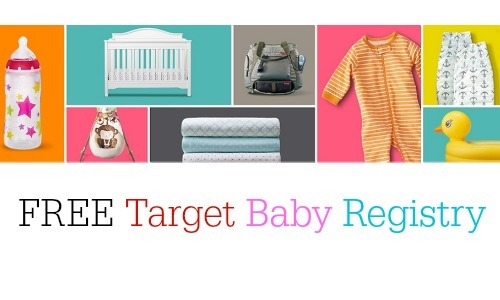 You can also get a 15% off coupon to stock up on anything you need before baby arrives (your registry needs to be active for at least 14 days before your 15% off coupon can be created). To receive this gift, create a registry online or in-stores and stop by guest services to pick up this fun freebie.